Bring lights and colour to your work of art! 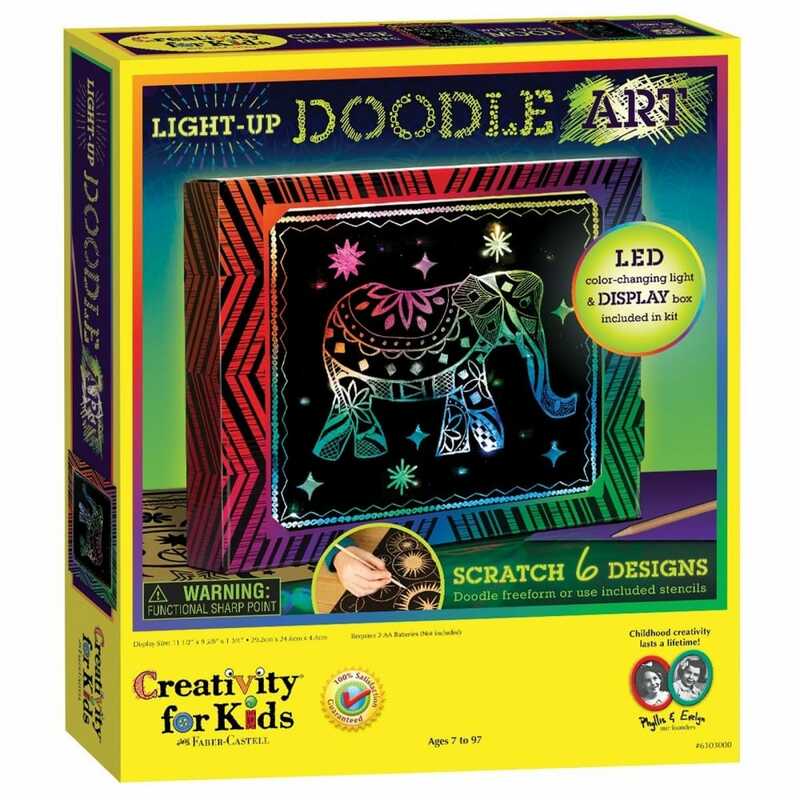 The colourful frame features changing lights that shines through your doodle creations. The sturdy frame comes with 6 sheets (2 black, 2 purple and 2 teal) of doodle art paper, so you can change out your artwork to reflect your mood complete with stencils and a doodle tool.